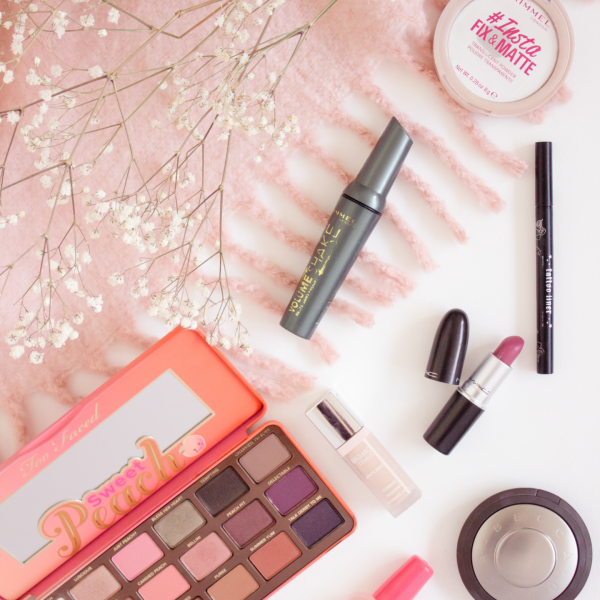 Despite having now being writing about beauty for the last five years, I still find it exciting to discover a new brand and to have the opportunity to try some of their products. Let me introduce to you PÜR The Complexion Authority, a new brand consisting of mineral make up and their own skincare line. PÜR Cosmetics is a cruelty free American brand which has made its way across the pond. From what I can see you can explore the range on the likes of Beauty Bay, Feel Unique, Beauty Expert and more in the UK so it is fairly accessible. They have quite an array of products, more than I was initially expecting so I already have a little idea of some of their other products which I would like to try in the future. One of their more recent releases comes in the form of the vanity palette, of which there are currently two options available. The PÜR Vanity Palette Eyes and Cheek Palette* in Dream Chaser is the product I will be featuring today, however the Gold Digger palette looks equally as beautiful; although it may perhaps be more appropriate for autumn due to the shade tones found within the palette as they are much darker and richer in tone. 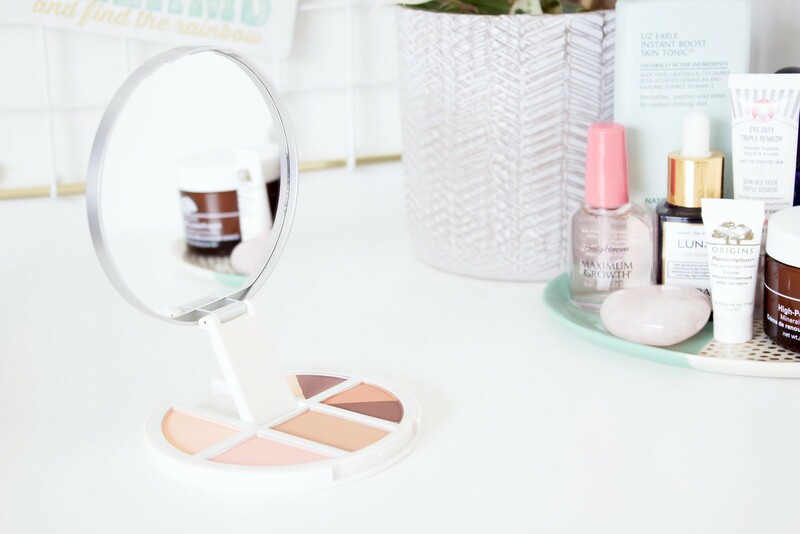 The PÜR Vanity Palette Eyes and Cheek Palette combines four eye shadows, blush, highlight and bronzer; all contained within one circular palette with a really decent sized mirror to boot. Generally speaking I tend to have separate products for each area, however since I have being doing a bit more travelling I have come to realise just how handy this little palette is going to become; not least is the fact that it will save SO much space! 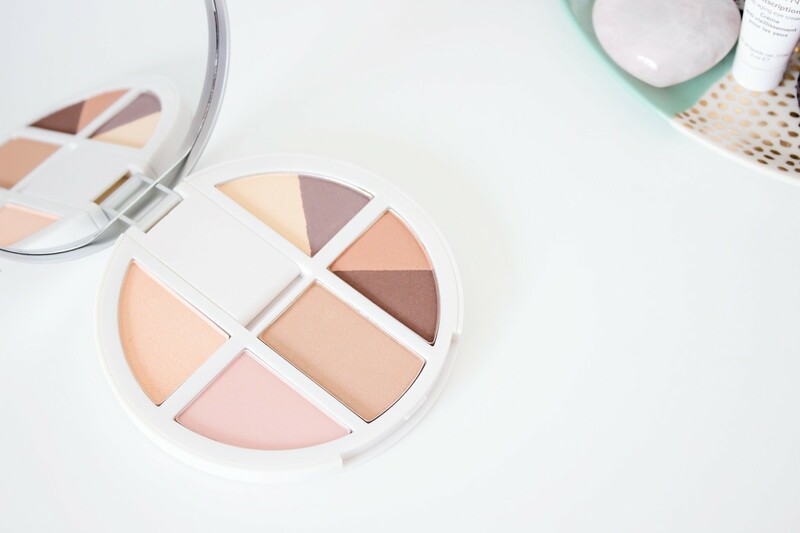 The four eye shadow shades are right up my street and easily fit into my everyday neutral eye that I wear to work. I find that the darker shades of the four are easier to work with and are more pigmented, for some reason I lighter shades in palettes can often struggle with good colour pay off. Whilst I wouldn’t say that aspre is a bad shade by any means, I do think that it is just is poorer in terms of the other three shades, having said that, I would only really use aspire as a base shade anyway. All four shades are matte, this is something I personally appreciate as I have a lot of shimmer shades within my eye shadow collection in general, therefore it is nice to regain a bit of balance on that front. Unlike most palettes that launch, I can actually see myself making use out of the bronzer shade. 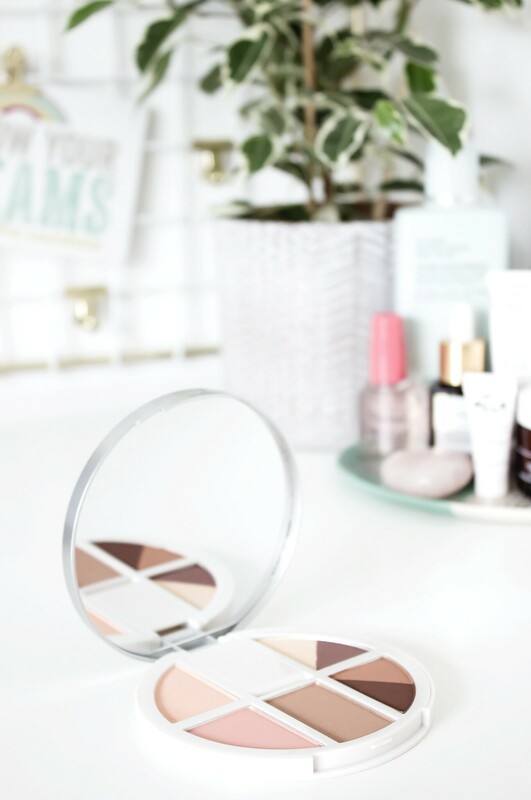 So often I find that many palettes really fall down on their bronzers as they are often too orange, whereas the shade driven is actually cooler than I had expected, meaning it works much better on my skin tone and also looks far more natural. The blush shade of visionary is perhaps my favourite out of the palette entirely. It is a really refreshing pink peach tone which looks super flattering on the skin, it is also rather pigmented so a light hand is required; although due to the light texture it does blend rather nicely so any heavy handedness can easily be rectified. The only real downside to this palette is the highlight shade, however this is purely down to personal preference. Generally speaking I like my highlight to be shimmery, I love the glow that it creates and how it can transform a look completely. Unfortunately, the highlight named illusion really leaves me under no illusion that it fails to pack a glowy punch. It is too matte for my liking and will only be used as a peachy blush/eye shadow if the need arises; although in all honesty I probably won’t opt to use that shade in the future. It goes without saying that the PÜR Vanity Palette Eyes and Cheek Palette quite an interesting product visually; it is hard to miss the vanity element of this. The fact that it has a mirror and that it pops out to stand up by itself is perhaps initially deemed to be a bit gimmicky, however this could be anything further from the truth; I absolutely love it! You only need to ask yourself how many times you have tried to do your makeup whilst balancing a little pocket mirror on your knee or a desk against some books. Whilst at home I will not make much use out of this element, I will definitely make use of it whilst away on weekends and on my holiday. It is a great idea in my opinion and adds a value to the palette that many others lack. Since trying this palette out I have also had the chance to review the PÜR Velvet Matte Liquid Lipsticks*, check those out here! *This post contains PR samples, for more please read my disclaimer.